A gas leak Tuesday morning shut down Main Street for about an hour as emergency crews investigated. 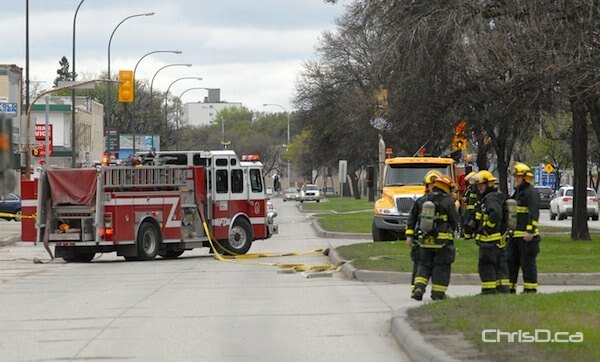 Firefighters and Manitoba Hydro workers could be seen coming and going from King’s Kuts at 1787 Main Street. Police had blocked north and southbound traffic on Main between Belmont Avenue and Semple Avenue as a precaution. Roads reopened shortly after 11:30 a.m.